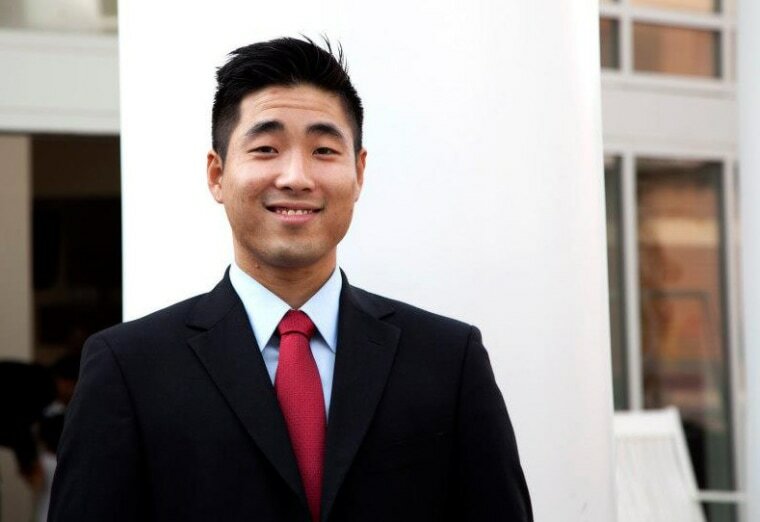 Sam Park is the first openly gay and first Asian-American man elected to Georgia’s state legislature. There are less than 600 known lesbian, gay, bisexual, transgender and queer elected officials in the U.S. — just 0.1 percent of all elected officials across the country — according to a recent report by the Victory Institute, a nonprofit that trains and promotes LGBTQ political hopefuls. But this election cycle, a record number of LGBTQ Americans, who make up an estimated 4.5 percent of the U.S. population, are seeking office. Can these candidates, who are running for positions ranging from town councilmembers to U.S. senators, help the LGBTQ community reach more proportionate representation? In a new NBC Out special series, “The 0.1 Percent,” NBC News profiles a handful of the hundreds of LGBTQ Americans who are on the ballot this November. One year after becoming the first openly gay and first Asian-American man elected to Georgia’s state legislature, Sam Park had to say goodbye to his mother. In her final weeks, she was comfortable. “The opportunity she had to really spend her final years in peace with the family — you know, I think it's an opportunity that every Georgian deserves,” Park said. When Park ran for a seat in the Georgia House of Representatives in 2016, he did so in part because of his mother’s battle with cancer — and his desire for others to have the same access to health care. "While we still have not expanded Medicaid to cover more than half a million Georgians, that's still a fight that I'm continuing," Park told NBC News. Sam Park is now running for his second term to represent Georgia’s 101st House District. Park, 33, grew up in suburban Atlanta as the son of conservative immigrants from South Korea. He and his family were members of the First Baptist Church of Atlanta, where Charles Stanley, a former president of the Southern Baptist Convention, preached. Park said Stanley’s sermons focused on the principal of “inerrancy,” which contends that the Bible contains the totality of the word of God, including passages regarding homosexuality as an “abomination.” During college, when he came out to himself and his sister and then eventually his parents, he drifted from his faith. But Park found his way back to the flock via Charles Stanley’s son, Andy Stanley, who “started a nondenominational church that focuses on churching unchurched people,” Park said. There, at North Point Community Church, which Park said is more welcoming to LGBTQ people, he found himself drawn back to his faith. “Andy Stanley has become one of the most influential voices in the South,” he said. About 30,000 people regularly attend services at his North Point Community Church and related satellite churches. Park’s district covers Gwinnett County, the most diverse county in the state and one of the most diverse in the nation. Not only is it racially diverse, but Gwinnett County is also younger than most: The median age is 35, and a quarter of voters in the county are below age 30. It’s through this district that Park was able to find a path to his election victory in 2016 and defeat three-term Republican representative Valerie Clark by just a few hundred votes. However, Park added, the state is “incredibly gerrymandered.” Donald Trump won Georgia by just over 50 percent of the vote, but Republicans control state House seats by a ratio of 2-to-1. Due to this imbalance, Park said it is a challenge to get any progressive legislation through, including the Medicaid expansion bill that he cosponsored and introduced. “I have introduced a lot of legislation in my first term, from comprehensive civil rights legislation to cosponsoring Medicaid expansion,” Park said. But while none of his major legislative priorities have reached the governor’s desk due, in part, to the GOP-controlled state House, he presses on. Park said he worked to stop harmful anti-immigrant and anti-LGBTQ legislation that would have done significant harm to both communities. “We were able to do that as a minority voting coalition through coalition-building,” he explained. The importance of coalition building is a lesson he has gotten from his political mentor, Georgia gubernatorial candidate Stacey Abrams. “Her campaign has been focused on doing what we did in order to win in 2016, which was focus on direct voter contact — talking to folks, voters, at the doors, which I think is the most effective way to turn out people to go vote,” Park said. He worked for Abrams when she was the state’s House minority leader. Should she win next month, she will be the first African-American woman governor in the U.S.
Park said he draws much inspiration from Abrams’ approach to organizing and how she prioritizes door-to-door voter contact, which has helped propel her improbably run. “I would not have been able to get my foot in the door without her,” he said. “She's one of the few Democratic candidates in Georgia who understands the importance of building a diverse coalition and harnessing the diversity that exists in the State of Georgia to move us forward,” Park said. And he thinks she is going to win. Polls show a dead heat between Abrams and Brian Kemp, the Republican nominee. “I don't think a speaker, let alone a Republican speaker, has ever uttered those words, so I felt very welcome,” Park said. More than 20 incumbent Republicans are stepping down in Atlanta this year, and at least 15 Republicans are up for election in House districts that Hillary Clinton won, increasing the chances that the Democrat-Republican split in the state legislature will be tighter in the next session, opening the doors to more collaborative legislation. Park hopes that by continuing to build coalitions with other groups, and perhaps under a new Democratic governor, Georgia may be able to pass comprehensive civil rights legislation and employment discrimination protections for LGBTQ people, among other progressive measures.